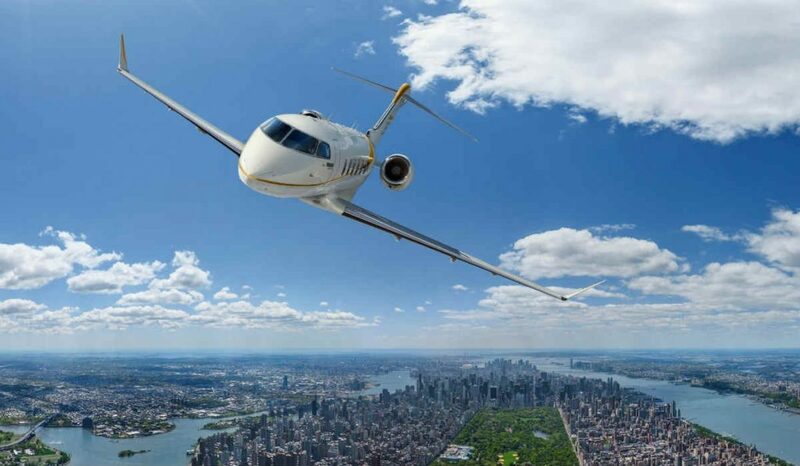 Bombardier will offer Head-up Display (HUD) and Enhanced Vision System (EVS) as options on its Challenger 350 business jets, helping with situational awareness and improvements in low-visibility conditions. These systems will expand what the company describes as existing advanced avionics functionalities of the aircraft, such as the Synthetic Vision System (SVS) and MultiScan weather radar. “Added to the Challenger 350 aircraft’s already well-equipped flight deck, the HUD and EVS option will enhance the pilot’s situational awareness to provide passengers with an even smoother flight,” said David Coleal, president, Bombardier Business Aircraft, who notes the Challenger 350 jet leads the market in unit sales. With the addition of the lightweight HUD, Bombardier explains the aircraft will allow pilots to fly eyes forward in all phases of flight, most crucially during takeoff and landing. The flight deck on the Challenger 350 aircraft provides critical flight information onto the HUD’s transparent screen. The EVS camera transmits live infrared imagery from outside the aircraft to the HUD, revealing runway lighting, surrounding terrain and possible obstacles on the runway. The HUD and EVS can be installed as a retrofit on in-service models in Bombardier’s network of service centres. The Challenger 350 aircraft is also currently undertaking steep approach certification at London City Airport. Final certification is expected soon.